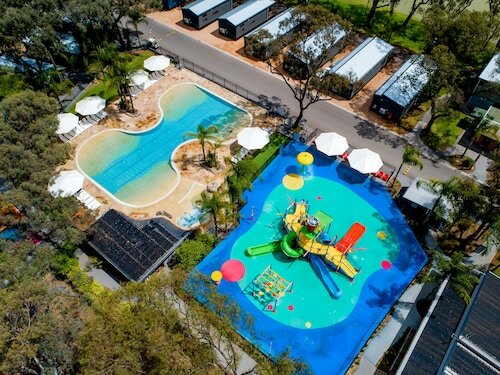 Located on a lake, this family-friendly campground is within 9 mi (15 km) of Kingston Estate, Monash Adventure Park, and Banrock Station Wine and Wetland Centre. 23rd Street Distillery is 19.1 mi (30.7 km) away. 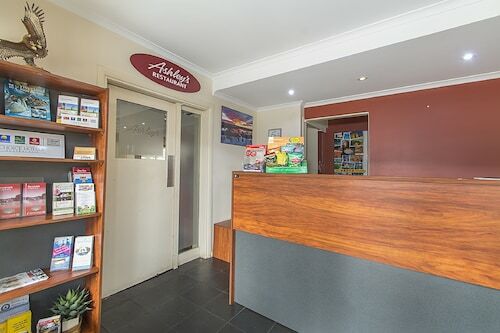 Situated in Barmera, this golf motel is within 9 mi (15 km) of Monash Adventure Park, 919 Wines, and Kingston Estate. Banrock Station Wine and Wetland Centre is 9.6 mi (15.5 km) away. 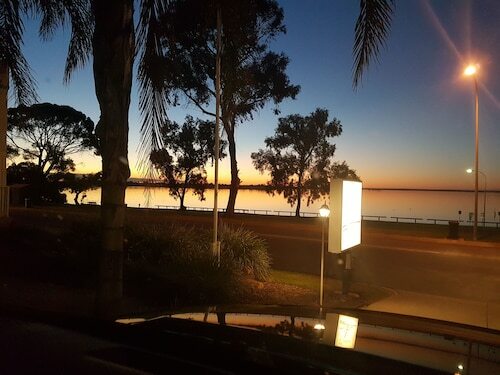 Nestled on the beach, this Barmera motel is within 9 mi (15 km) of Kingston Estate, Monash Adventure Park, and 919 Wines. Banrock Station Wine and Wetland Centre is 8.7 mi (14 km) away. Considering a trip to Barmera? There are only 3 accommodations options within 5 kilometres of the town centre. Try to look into the Barmera Country Club Motor Inn and Discovery Parks – Lake Bonney. All these hotels are close to the main areas. Raise a glass of full-bodied red or white at Banrock Station Wine & Wetland Centre. Make sure you take home a bottle for later. Book your stay well in advance, because the only available option near this attraction is Barmera Lake Resort Motel. For some alternatives, checkout the Renmark Resort and the Glossop Motel. They are located 20 kilometres and 6 kilometres respectively from the center. Further alternatives include the Loxton Community Hotel Motel, 25 kilometres away, and the Big River Motor Inn, 13 kilometres. If you want to go to some close by localities, check out Renmark and Paringa. Travel 30 kilometres to the east from Barmera and you'll locate Renmark. Alternatively, Paringa is 30 kilometres to the east. Renmark hotels and apartments are the Econo Lodge Citrus Valley and Renmark Hotel Motel. 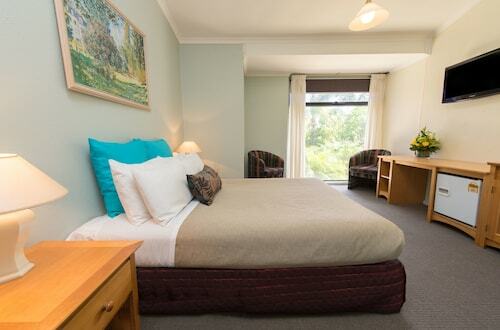 Paringa options are the Ventura Motel and Renmark Holiday Apartments. For those choosing to fly, Mildura Airport is the most convenient airport for Barmera. Just a cab ride away is the Cabarita Lodge. How Much is a Hotel Room in Barmera? Hotels in Barmera start at AU$70 per night. Prices and availability subject to change. Additional terms may apply.